Zhong Chuxi is a peacock princess in this Chinese fantasy promotional photoshoot for The Knight of Shadows. You can tell photographer Chen Man had a low budget for this because the peacock is not steampunk. Zhong Chuxi is currently filming romance series Youth Should be Early with Hu Yitian. Photographer Luo Yang is one of the fastest-rising fashion photographers in the past year, a year with a lot of diverse, young photographers hitting the scene. Her photoshoot with Chun Xia was voted the best fashion magazine cover of year by fans and a panel of professionals, and imo it’s well-deserved. Here are some of her works, including with Ma Sichun, Jiang Wenli, Xiao Wen Ju, Zhong Chuxi, Chun Xia, Chen Feiyu, Li Meng, and Jing Tian. The rawness captured in her photoshoots bring an unique perspective to the fashion magazine photography scene. I also love how her photoshoots subtly shows Chinese influences without making it in-your-face. 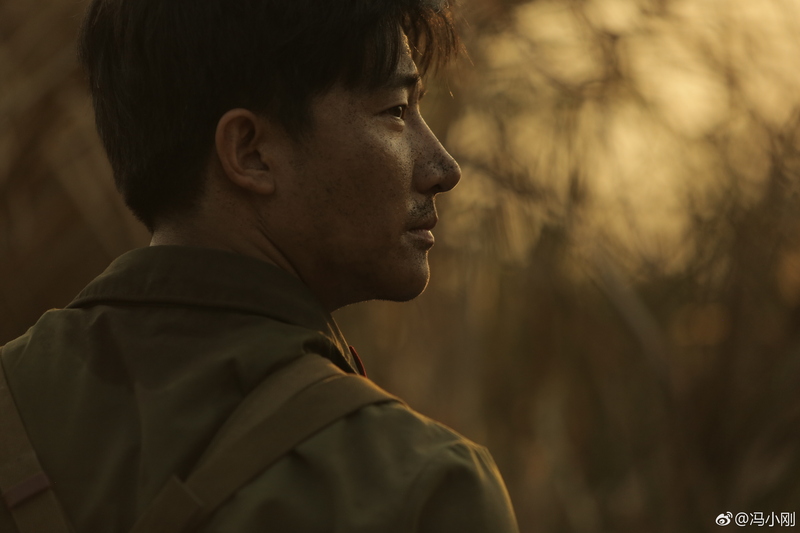 It’s a part of what I see as a growing movement by Chinese artists to move away from the bold, explicit cultural elements like in the works of Chen Man. Another recent example is the embroidery Beauty Portraits by Leslie Zhang and Liu Zongyuan. Dude’s Manual 脱单告急 is an upcoming rom-com film starring Dong Zijian as He Xiaoyang, a dorky university student who gets caught up in a love triangle between two popular classmates, played by Zhong Chuxi and Chun Xia. Five up-and-rising actresses pose for a set of photoshoots with traditional Chinese embroidery for a new take on the traditional Chinese painting style of Beauty Portraits. The pieces borrowed from the Taizhou Museum of Embroidery isn’t featured that much, but at least the actresses are beautiful. They are: Li Qin (Princess Agents) , Yang Caiyu (Youth), Zhong Chuxi ( Youth), Xin Zhilei (Brotherhood of Blades II), and Li Meng (A Better Tomorrow 2018). Which photos are the best? Zhong Chuxi painting the Cfensi banner with that sash. 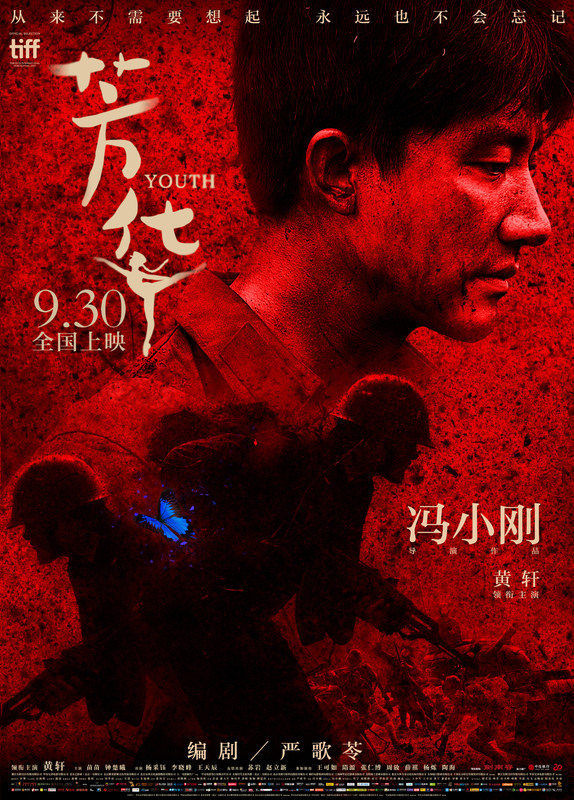 Directed by Feng Xiaogang (I Am Not Madame Bovary), Youth follows the story of Liu Feng, played by Huang Xuan (Extraordinary Mission), as he goes from popular dancer in the art troupe to a soldier on the real battlefield.